Diaristic Notations: Sucker and Dokusan: the tablecloth is still there! Sucker and Dokusan: the tablecloth is still there! 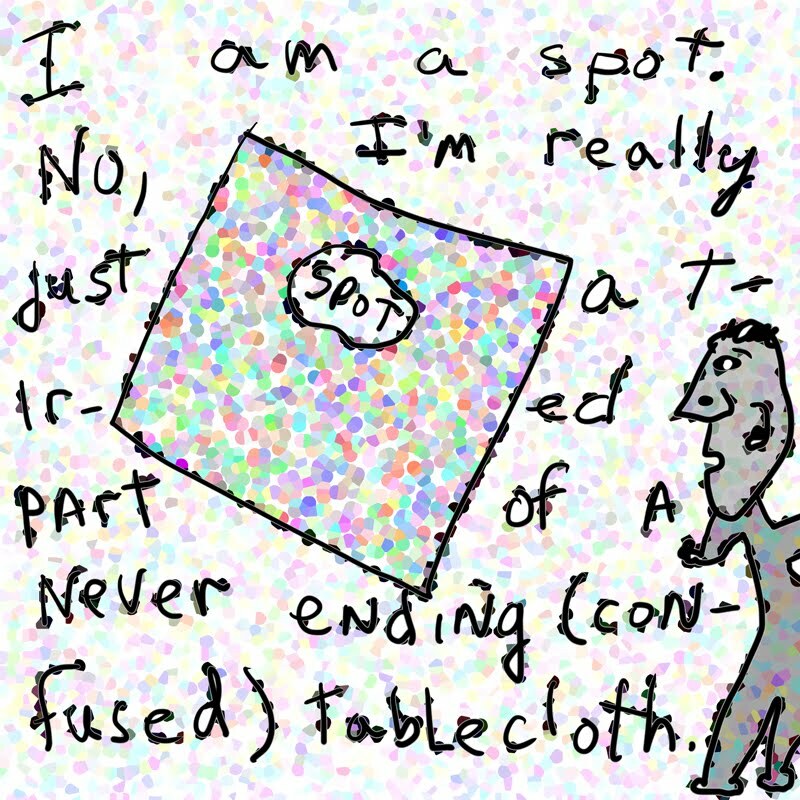 of a never ending (confused) tablecloth. In the last week, as so many of you pointed out, I've been suckered twice... first for wanting a free ipad and second for wanting to see who is looking at my profile. I need to put up a sign above my computer, "There is no such thing as a free lunch!" Dokusan, which I've written about before, is an "interview" with a zen teacher. I hadn't done it for awhile because I was still trying to answer his question to me about what I thought about the precepts (the subject of many of these posts). But it had been almost a month since my last "interview," so I started to feel "overdue." I wanted to talk to him about my ideas in yesterday's blog... that I was starting to accept my "MO" about what I do. Maybe my "MO" is folly, but it is what I am right now. In any case, when I went to sit this am at 7:30 (today was a half-day sesshin) he read a quote from Suzuki Roshi about how we shouldn't try to be perfect, and I thought of a painter in St. Louis (deceased) who would make a white bread bologna and cheese sandwich, and then go into his studio in the morning and not come out until dinner time. Wow... that's perfect. I wanted to be like that! Then the Zen turned Burmese monk gave a talk and mentioned renunciation, and I started thinking that I was focusing on me me me and needed to renunciate that a little. So by the time I finally got to dokusan I had these thoughts added to thoughts added to thoughts. My teacher suggested thinking less of me and more of it ("big mind," though he didn't use that term). 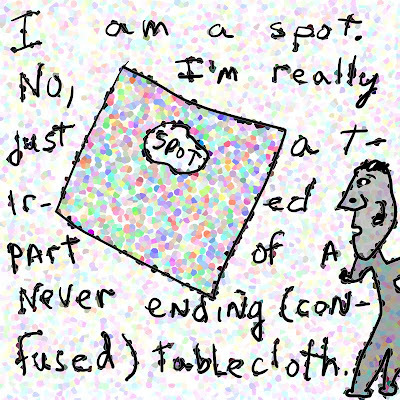 Later, I imagined a spot on a table cloth. You clean the spot, and it is gone. What is gone? The tablecloth is still there. If this doesn't make sense and makes your head whirl, you aren't alone. luv u and your journey.